In 1980, Barbour introduces the Bedale waxed cotton jacket. A light, hardwearing, short length jacket originally introduced as a riding jacket by Margaret Barbour. The Barbour Bedale quickly became the favorite jacket of many British celebrities, from the Royal Family to pop music stars. 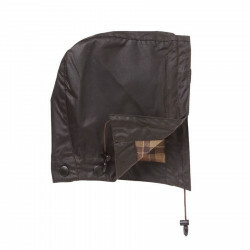 The length and shape are adjusted for horse-riders, such as side vents and inner nylon lining protection.